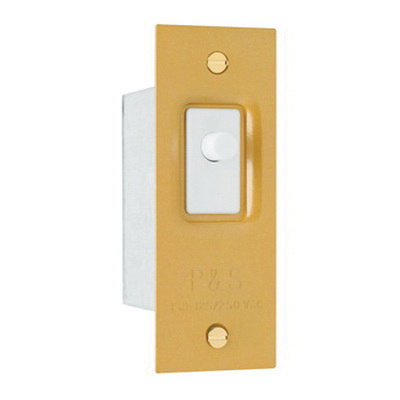 Pass & Seymour Decorator pressure sensitive door and canopy switch in white color, has durable cold rolled steel construction with bronze coating finish. It operates at a voltage rating of 120/250-Volts AC and current rating of 15-Amps. This switch includes wire leads. The pressure sensitive door and canopy switch meets cULus and RoHS standards.